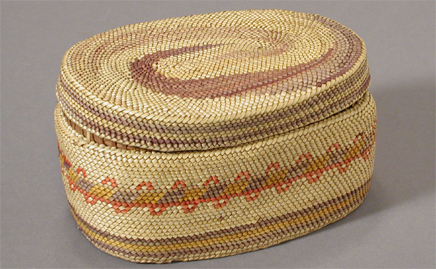 This summer exhibit features First Nations baskets, spoons and bentwood boxes from the museum collection. These beautiful and often intricately patterned items speak for themselves about their creator?s craftsmanship and skill. From the elaborately carved horn spoons to the delicate geometric design woven into a grass basket, this exhibit is a “must see”.